Energizing and invigorating synergy of genuine essential oils. Externally : add 1-2 drops of essential oil into 50 drops of vegetal oil, apply or massage. As scent : Use to create a feeling of being wide awake by adding a few drops in electric diffuser or air humidifier. 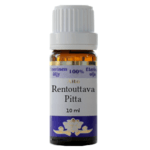 For more information visit our section : Frantsila Essential Oils. See below precautions of use for essential oils. Genuine essential oils: Eucalyptus radiata (Eucalyptus), Picea mariana (Black Spruce), Citrus limonum (Lemon), Citrus sinensis (Orange sweet), Boswellia carteri (Frankincense), Zingiber officinale (Ginger). These recommendations/tips are provided for information purposes only. They do not replace diagnosis by a doctor, nor do they form a record of execution. Essential oil should not be used internally without professional advice. Essential oil should not get in contact with the eyes. Essential oil is NOT recommended for use during pregnancy. Use Essential oil only with professional guidance for infants, children, seriously ill and elderly people. Some essential oils may cause sensitive individuals allergic reactions. Essential oil is NOT recommended for the asthmatic or for people suffering from epilepsy. Some essential oils can be photosensitizing and should not be applied before sun exposure. Essential oil should ALWAYS be diluted before applying on the skin. Use genuine vegetal base oil, and if possible of organic quality and cold-pressed (Frantsila body and massage oils). Harmonizing and balancing synergy of genuine essential oils. 100% pure and chemo typed Basil essential oil. 100% pure and chemo typed Bergamot essential oil. 100% pure and chemo typed Black pepper Essential Oil. 100% pure and chemo typed Black Spruce essential oil. 100% pure and chemo typed Cardamom essential oil. 100% pure and chemo typed Cedarwood essential oil. 100% pure and chemo typed Citronella essential oil. 100% pure and chemo typed Clary Sage essential oil. 100% pure and chemo typed Cypress essential oil. 100% pure and chemo typed Fennel essential oil. 100% pure and chemo typed Geranium essential oil. 100% pure and chemo typed Ginger essential oil. 100% pure and chemo typed Grapefruit (peel) essential oil. 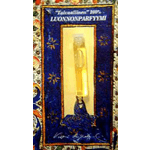 Heavenly combination of scents, alcohol free oil perfume created by the founder of Frantsila Organic Herb Farm. 100% pure and chemo typed Jasmin (absolute) essential oil diluted in jojoba oil (10% Jasminum grandiflorum + 90% Simmondsia chinensis). 100% pure and chemo typed Juniper Berry essential oil. 100% pure and chemo typed Lavender essential oil. 100% pure and chemo typed Lemon (peel) essential oil. 100% pure and chemo typed Lime (peel) essential oil. 100% pure and chemo typed Mandarin (peel) essential oil. 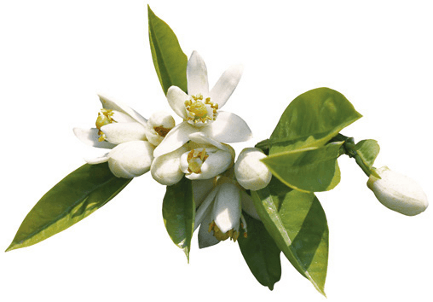 Improve your memory and alertness with Memory Aromatics. 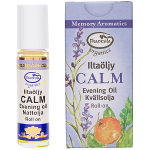 Essential oil mixture roll-on developed to alleviate memory problems. 100% pure and chemo typed Sweet Orange (peel) essential oil. 100% pure and chemo typed Palmarosa essential oil. 100% pure and chemo typed Patchouli essential oil. 100% pure and chemo typed Peppermint essential oil. 100% pure and chemo typed Petitgrain (leaf and twigs) essential oil. 100% pure and chemo typed Pine Sylvestre essential oil. Synergy of genuine essential oils giving energy and satisfaction in everyday life. 100% pure and chemo typed Rosewood essential oil. 100% pure and chemo typed Sandalwood essential oil. 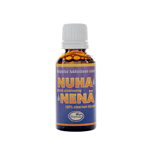 Treatment of colds and running noses, used in vapor bath or as sauna aroma. 100% pure and chemo typed Tea Tree essential oil. 100% pure Thyme essential oil. Synergy of genuine essential oils creating harmony and inner peace. 100% pure and chemo typed Vetiver essential oil. 100% pure and chemo typed Ylang Ylang essential oil.